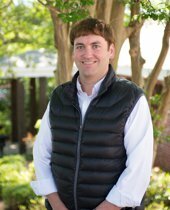 Jason Lovern has been a licensed real estate agent since 2001 and has since earned a GRI designation through the Mississippi Realtor® Institute. He has also obtained a Mississippi broker license. Jason is married to the former Pamela Belk, and they have four children, Ashley Lovern Duncan, Chance Lovern, Mollie Kate Lovern, and Hannah Adams and one grandchild, Finn Duncan.